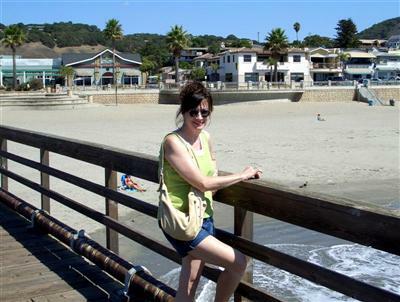 The Avila Beach pier provides a nice view of the rebuilt downtown area. 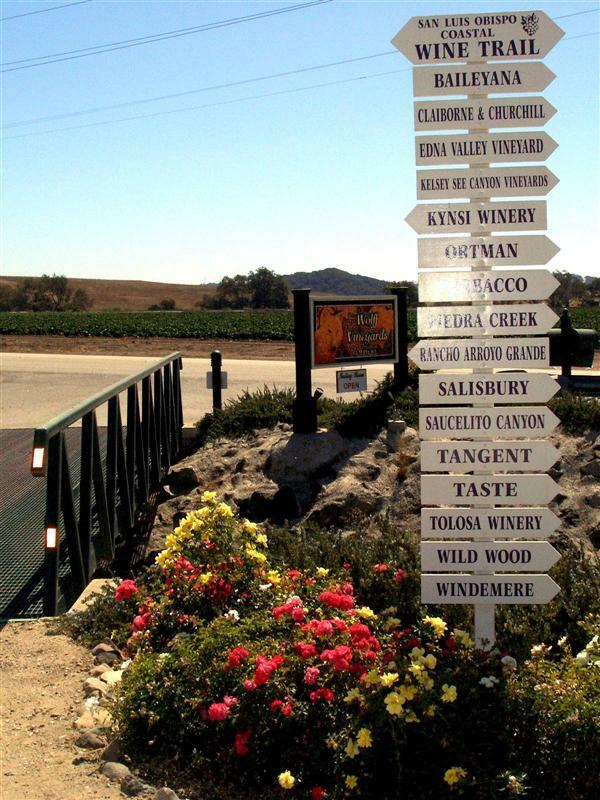 On the way back to San Luis Obispo, we visited Salisbury Vineyards and Per Bacco Cellars for some wine tasting. We bought a few bottles from both. 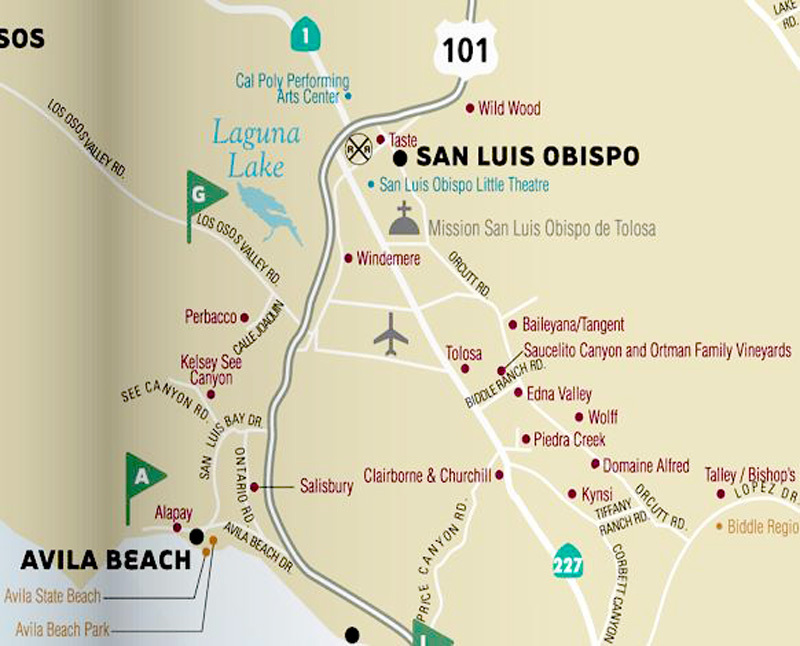 We started Saturday by exploring San Luis Obispo downtown on foot. 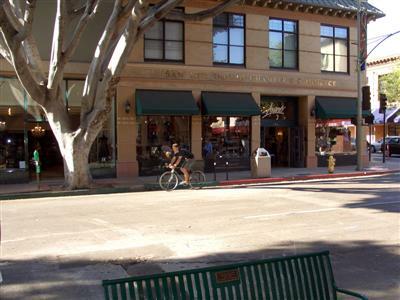 It is a very walkable town, with tree-shaded streets and plenty of benches. 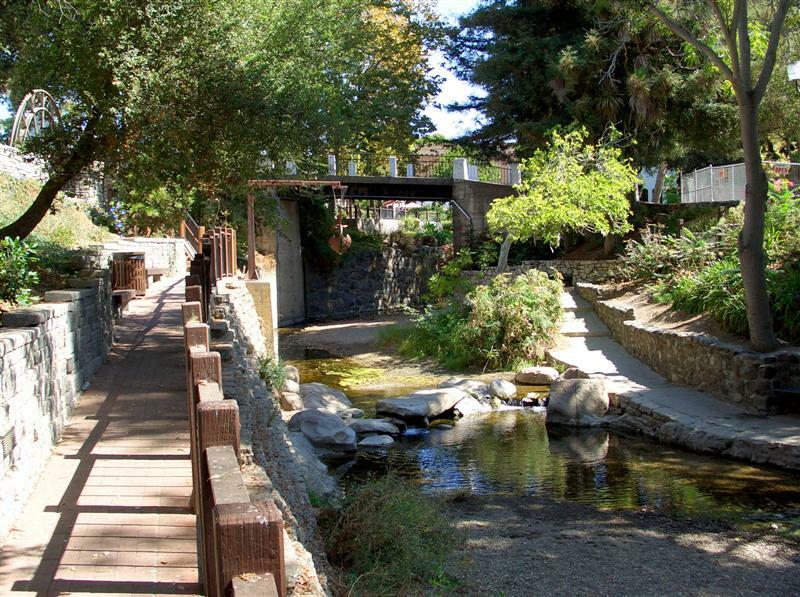 San Luis Obispo Creek runs through the middle of town, and a several-block section of it has been landscaped as a Creek Walk with paths and artwork. 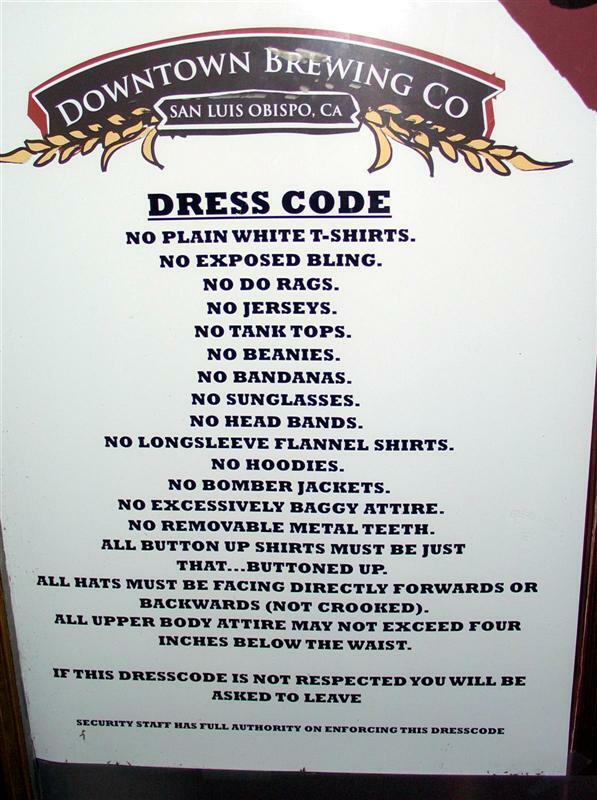 While eating at San Luis Obispo Downtown Brewing Company, we were amused by their dress code sign. 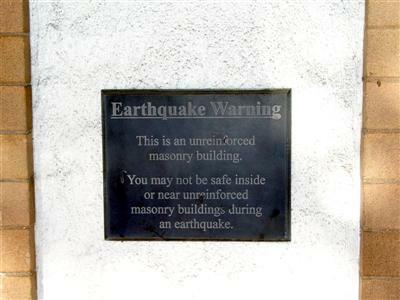 Another interesting sign was this earthquake warning, posted at the entrance to almost every building downtown. 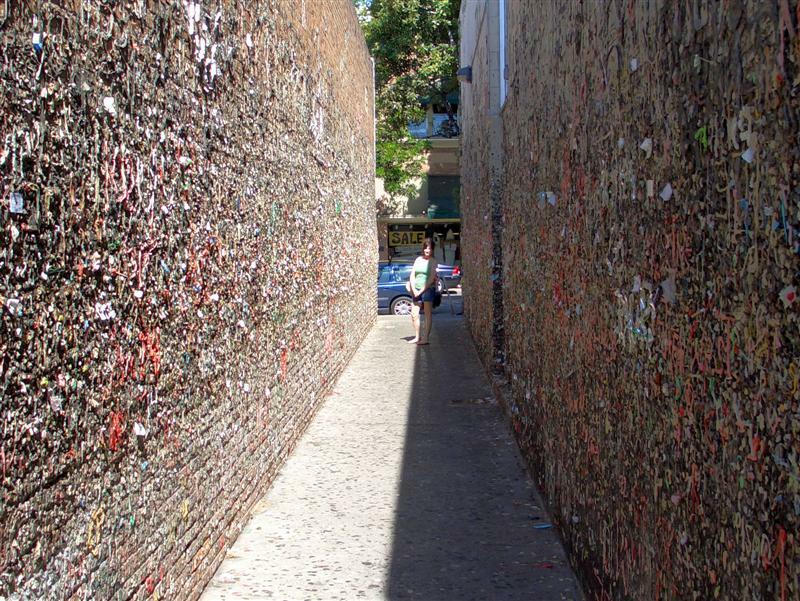 Bubblegum Alley is a rather unusual tourist attraction on Higuera Street downtown. 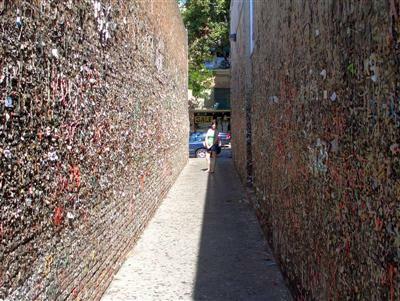 Of course, Chris got gum stuck on the bottom of his shoe! 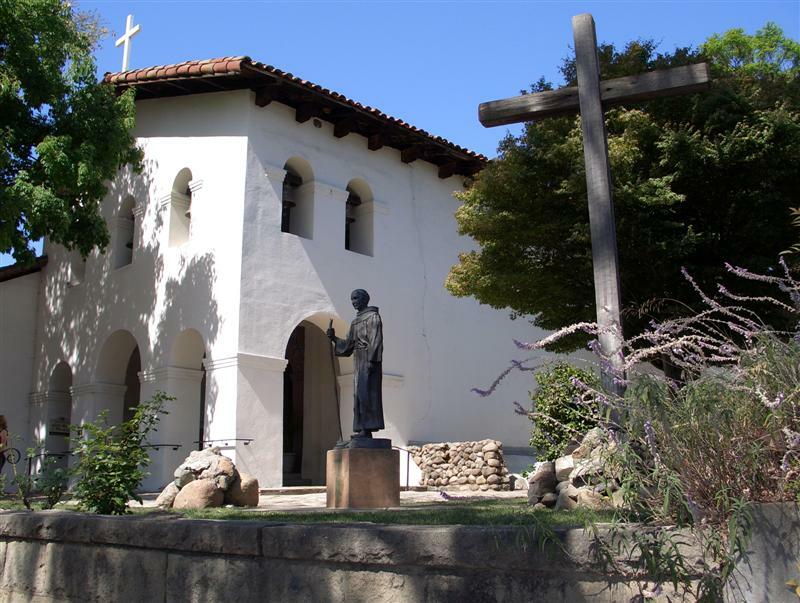 The Mission San Luis Obispo de Tolosa was the site of the street-painting festival that we came to see.